In the last Pinball post I talked about the 1.0 version of the Eagle PCB not working. 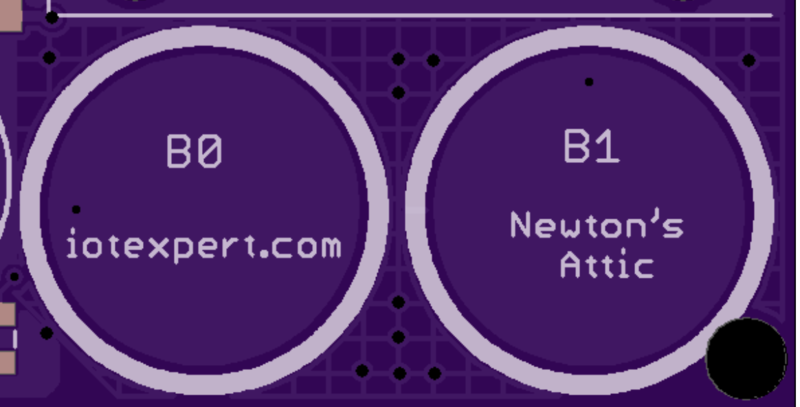 You might notice that the version number on this post is 1.2. It seems strange to skip a version number. 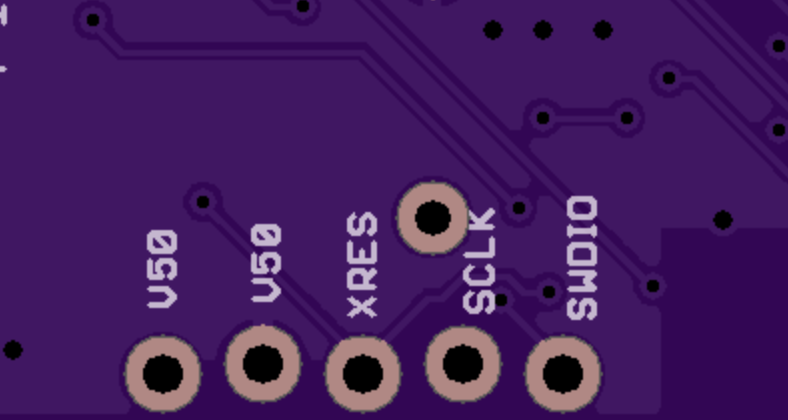 Well, it turns out that I didn’t skip a version number in fact, I did the most ridiculous thing possible, I made exactly the same error twice in a row on the PCB layout. That is, I flipped a chip footprint. Enough about that. Here is the OSH park rendering of the new PCB layout. 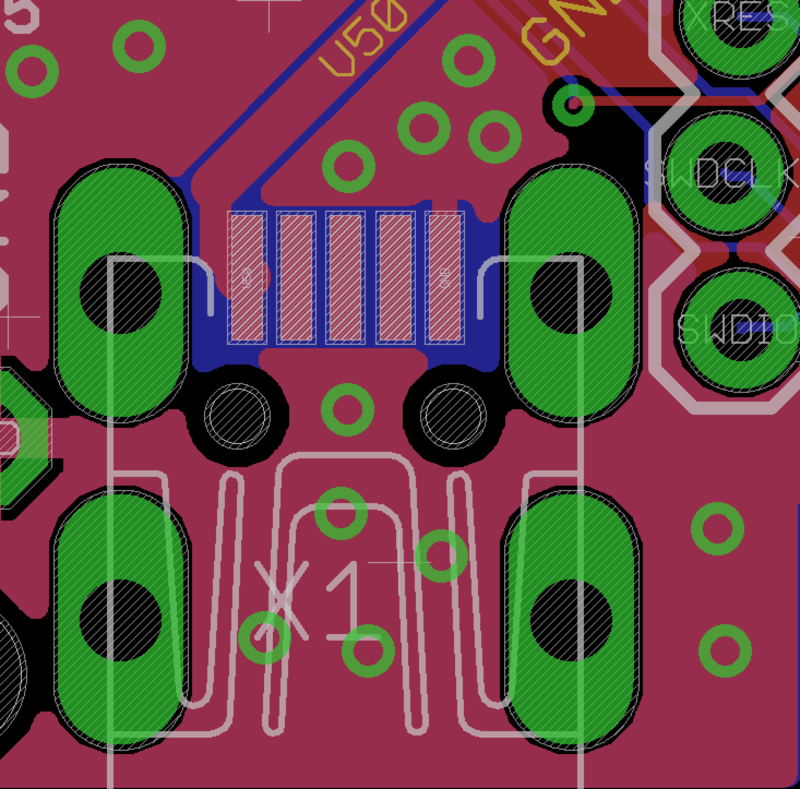 I would have bet money that I fixed the Eagle library to have the correct foot print when I did PCB 1.1. However, after I renumbered the pins in the package editor, I did not unhook and then rehook them in the library editor. The result was a flipped footprint, again. What is particularly frustrating is that I didn’t recheck it on the PCB. 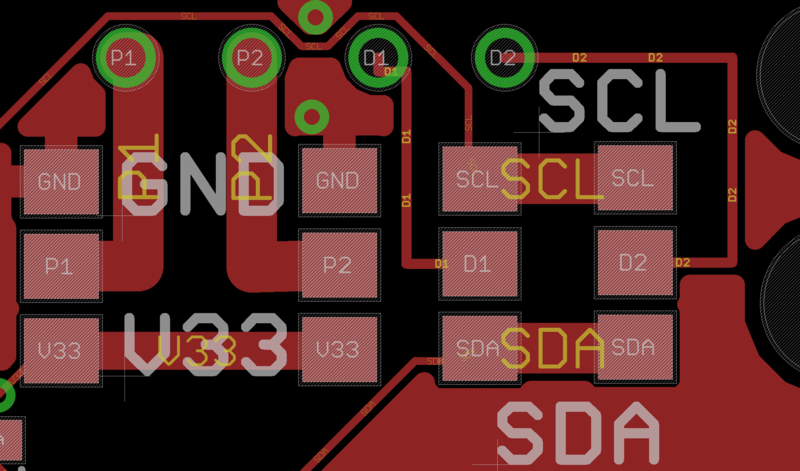 I now have added that to my PCB checklist. 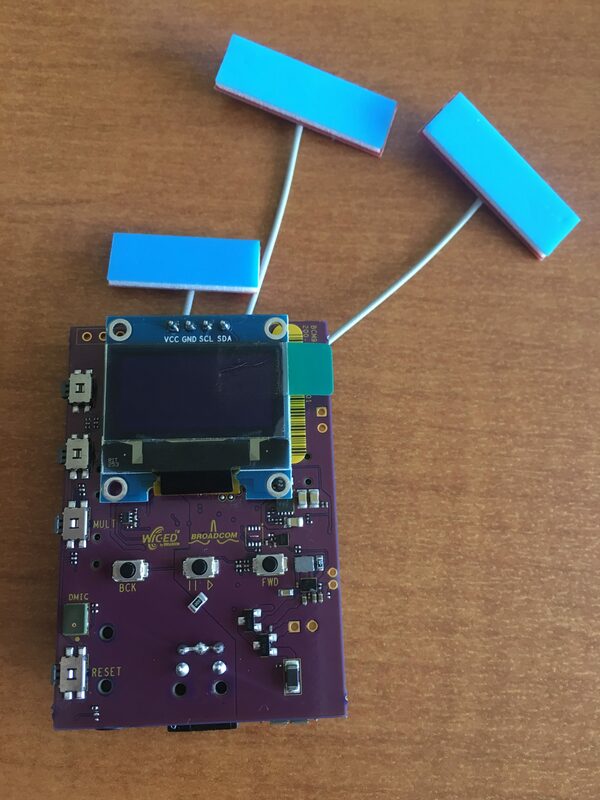 On one of our WICED WiFi development kits, the IoT team put a really cool 1″ OLED LCD screen. After I looked around a little bit, I found that the little screen was very available for $3-ish on eBay. My original plan was to use a bigger screen with an external connector. But these aren’t as cool and they cost $8. See what I am saying? 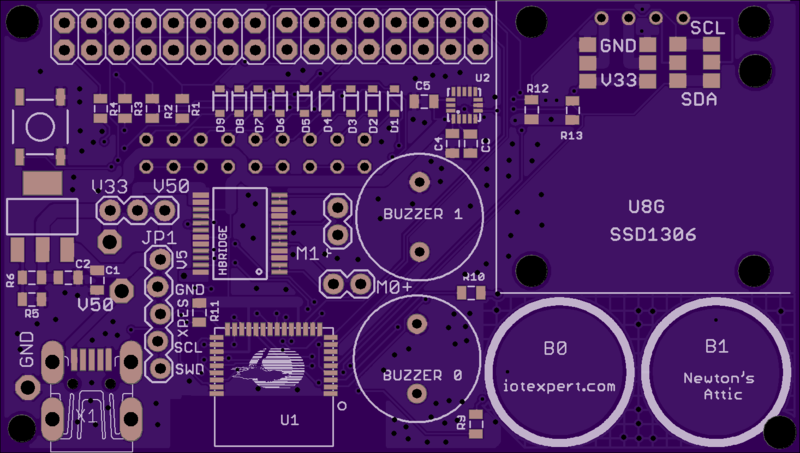 In the upper right hand part of the PCB, I extended it a little bit and put on the footprint. The only hitch is that it appears sometimes the pins are “VCC/GND” and sometimes the pins are “GND/VCC”. In order to handle this, I setup four 0-Ohm resistors to allow me to switch the pins. 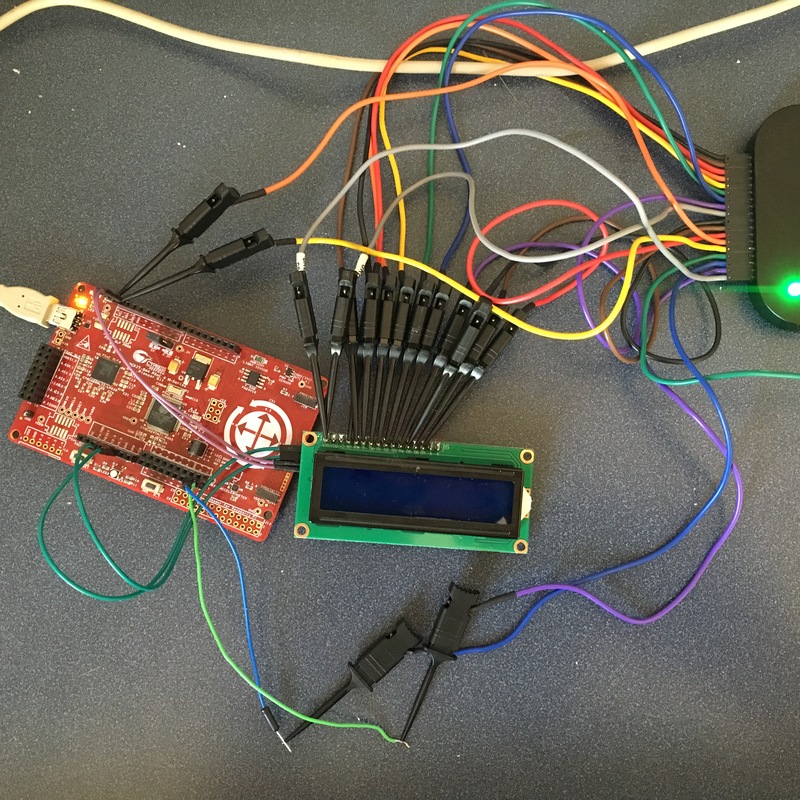 I setup the motor power to be either 3.3v or 5.0v based on the selection of a jumper. The jumper is a 3-position header on 100 mil spacing. 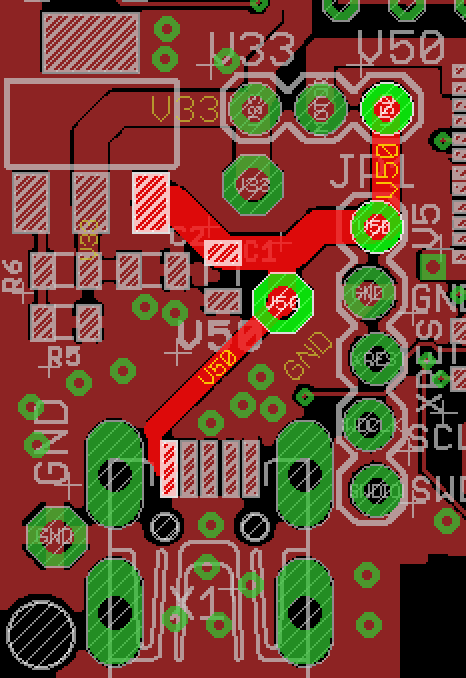 To get the best CapSense performance you should not use a solid ground plane in your PCB layout (like the one below). You should use a cross hatched ground (like the picture at the bottom). You can read about this in the Cypress application note or in my design guidelines.